This impressive city break destination fills your senses with its medieval streets and incredible art. Florence is renowned for its beautiful squares, mighty palaces, stately mansions and astonishing churches. Few Florence city break visitors are left unmoved by the essential sights: the magnificent Duomo cathedral with its amazing museum, the medieval Ponte Vecchio across the River Arno, the extraordinary Giardino di Boboli gardens, and its many spectacular churches stuffed with Renaissance art treasures, and Michelangelo's unforgettable statue of David. The City has a wide range of accommodation from budget bargain break hotels to 5 star deluxe for that special celebration or luxury weekend. Pisa is a beautiful Italian short break destination, the city is often overshadowed by its Tuscan neighbour Florence. Yet while Florence grabs deserved attention with its museums and galleries, many visitors find Pisa city breaks more rewarding in terms of architecture, ambiance and relaxation. The compact nature of this beautiful city and its proximity to the airport make Pisa short breaks an ideal choice for a leisurely taste of Italy. Florence is a treasure trove of Italian art and is unmatched by any other Italian city. Discover outstanding art by renaissance masters, and giants like Michelangelo, Raphael and Titian. Art lovers will find Florence weekend breaks almost overwhelming, such is the extraordinary wealth of paintings and sculpture spread throughout the city in dozens of museums, galleries and churches. With World-famous Florence galleries and museums like the Uffizi, the Palatina, the Bargello, the Duomo Museum and the Academia all combine to make a Florence short break an unforgettable experience. Aside from art, Florence mini breaks offer lively markets, classy shopping, excellent restaurants, street cafes and authentic Italian nightlife. While no Pisa weekend break is complete without seeing the famous leaning tower, most visitors come away from Pisa with glowing tributes to the narrow medieval streets, glorious Romanesque churches, stately palazzi, beautiful arcades and the glorious collection of medieval buildings in the Campo dei Miracoli. Longer breaks will give more time to explore the banks of the River Arno with its graceful palaces and mansions and give time for a trip to the lovely city of Lucca or world-famous Florence. 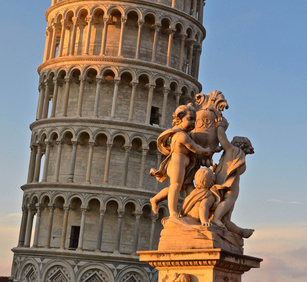 Florence and Pisa long weekends or short breaks are available from major UK airports. If you prefer to speak to one of our reservation team or for group bookings (over 9 passengers) or accommodation only bookings please call our travel advisors on Free Phone 0800 849 1285 alternatively Click here for a quick quote. 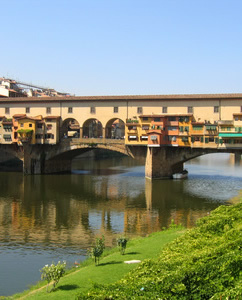 If you are looking for a cultural weekend filled with architecture and unbeatable art then Florence and Pisa has it all! 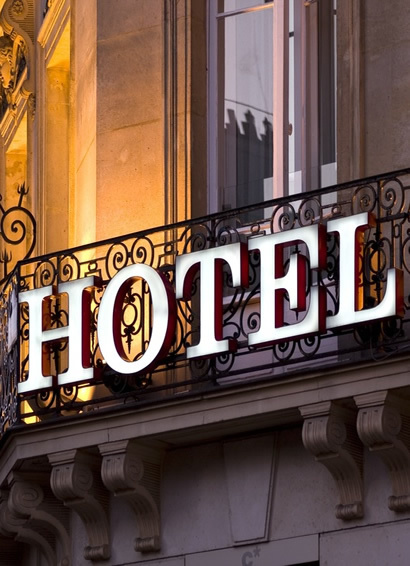 The trick is normally to book well in advance but if you are looking for a last minute weekend break, then either search online by using our search facility above or call Travel Empire. Alternatively if you are looking to pamper yourself with a luxury weekend there is a great choice of 4 and 5 star hotels located in both cities.